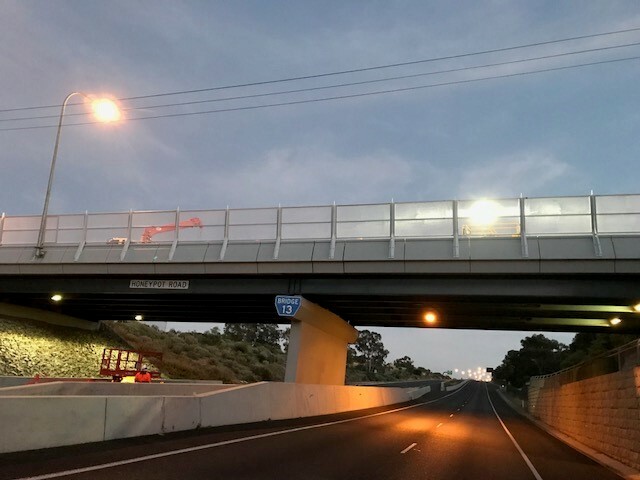 Two safety cameras capable of operating in a variable speed environment will be switched on along the South Eastern Freeway from Monday 2 December. The cameras will be operating on the downhill track, between Crafers and Mount Osmond and will help to reinforce the message that people need to drive to the conditions. The new camera technology will be able to respond to any changes in the variable speed limits, capturing vehicles that exceed the posted speed limit in any lane at any given time. This technology can also identify specific vehicle types and their relevant speed. For example, all trucks are required to select the appropriate gear to safely descend and all trucks with 5 or more axles must travel with a maximum speed of 60 km/h unless a lower limit of 40 or 25 applies in specific circumstances. The cameras will also distinguish a heavy vehicle from a normal car and catch any trucks with 5 or more axles travelling faster than 60 km/h and putting other road users at risk. In addition, they will catch road users speeding during periods when the speed limit is lowered on electronic speed signs due to changed conditions, such as low visibility due to fog or when there are other hazards on the road. The two cameras will be located adjacent to the Crafers on-ramp at Crafers West and to the Mount Osmond Overpass at Leawood Gardens.